Owner of Funtastical Faces, Margie Forestier, has studied fine arts/illustration at Central Connecticut State University. She was employed by Sea World, Orlando and has trained with internationally known face painters, the Wolfe Brothers and has attended face painting conventions that have been taught by world renown artists. What makes Funtastical Faces stand out from the rest? *We arrive at your event dressed neatly and professionally. *Our experience working with children for the last 17 years in many different aspects - in after school programs, at-risk emergency shelters, pre-school settings. 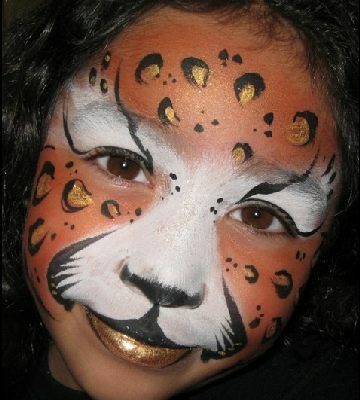 *We do our best to make sure all of your guests - children and adults - feel comfortable and have fun, even if it is just talking with them or showing your guests what it will be like to get face painted, glitter or airbrushed tattooed. 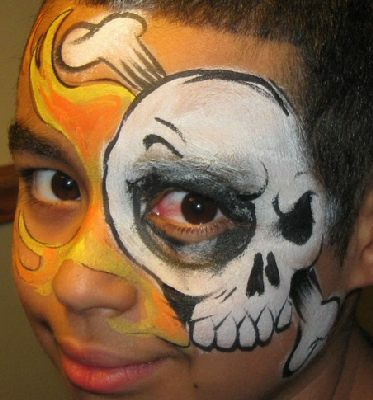 Some of your party options include; Full, Half and Smaller Face designs like tigers, puppies, butterflies, super hero's, spider webs, hearts, cool eye designs, dragons, tribals, and many more. We can also paint on arms or legs. Another party option is our glitter or airbrush tattoos which are great for pool parties or for older crowds. 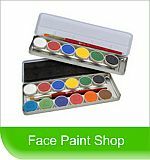 These works of art last up to three to five days with proper care and are great for group’s ages six and up.